It is eatimated that there could be over 150 underground houses. Depending on their sizes they are called as underground city with many levels or underground villages. They were excavated as early as Hittite times and expanded over centuries. Underground cities were excavated to take temporarily shelter during invasions. Nature behaved very generous to ancient people. Because, the soft volcanic ash enabled people to carve several underground cities with using primitive and simple tools. 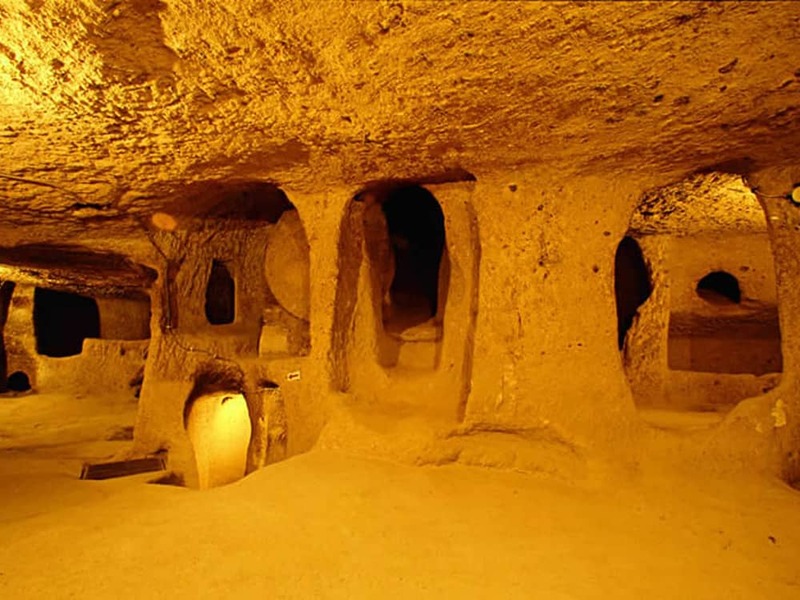 They had everthing in these underground cities like kithchens, churches, food storages,winery, ventilation shafts etc.